The artist took some liberties with this view of the entrance. 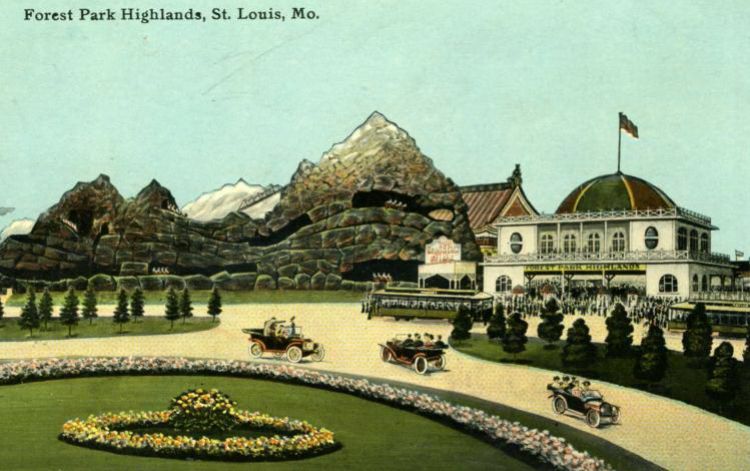 The Highlands was the largest amusement park in the city. It would grow to include two roller coasters, rides such as the "Racer Dip", a dance hall, funhouse and a big picnic area.